Albania is a nation situated on the Balkans Peninsula in Europe. Nestled between the Ionian and Adriatic seas, this is an alluring holiday destination that’s perfect for a holiday on the coast along with its magnificent mountain peaks. Albania goes beyond such attractions to offer you sights like Krujë Castle, Durrës Amphitheatre and Dajti Ekspres Cable Car (Tirana). Start packing your bags, because cheap flights to Albania are now available for a limited time! Albania’s hub airport is the capital’s Tirana International Airport (TIA), a 20-minute drive from Tirana’s city centre. Albania’s small size does not take away from the charm of its many beaches. Relax or have some fun at locations such as Bunec, Livadhia, Borsh and Dhërmi. 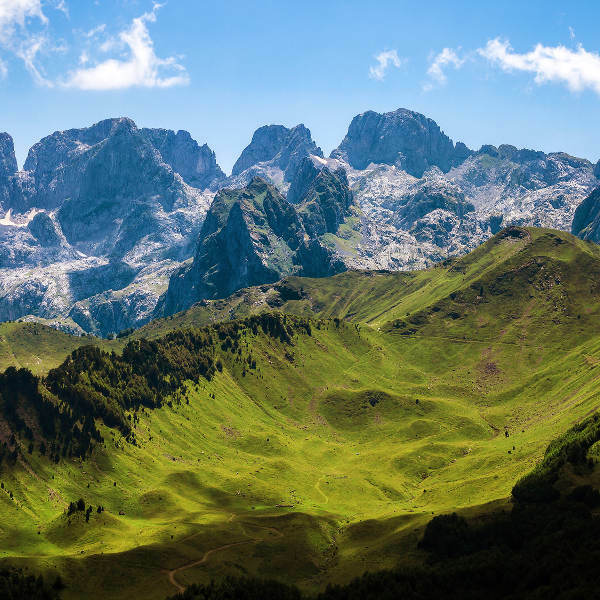 Time spent in Albania will treat you to fantastic sights of the surrounding mountains. Feeling adventurous? Test your endurance on the peaks of Golem Krcin and Maja e Shkelzenit! Get a glimpse of Albania’s wealth of history when admiring the many architectural structures in its cities, with influences from Illyrian, Greek, Roman, Ottoman, Italian and even the local Albanian. If you’re after the best conditions, the best time to explore the cities and countryside of Albania is during mid- to late-summer (July – August). The beaches tend to get busy around this time and you can expect some hotels to raise their prices. Book accommodation well in advance to ensure you get a room that suits your preference. An event you can enjoy during this time is the Korça Beer Festival (August). The period that sees the highest volume of rainfall is between October and May (mid-autumn – late-spring). Accommodation costs will drop around this time while availability will rise. Around this time, you can enjoy the pagan Summer Festival (March - celebrates the end of the winter and the beginning of the summer) and the Tirana International Film Festival (November). For wonderful conditions and affordable hotel rates, visit Albania during early-June (early-summer) and late-September (early autumn). A notable event to enjoy during this time is the Gjirokastër National Folklore Festival (every five years in September, the last one was held in 2015). Discover one of the largely overlooked nations of Europe. Having made a late entry into the tourism scene (due to its communist past), it may still come as a surprise why the majority of travellers have yet to discover it. Albania sits between the Ionian and Adriatic Seas and enjoys an isolated position, thanks to the surrounding mountain ranges, including those of Korab, Jezercë and Tomorr. Make sure to visit this charming country soon while its tourism scene has yet to kick off. Thanks to its position between the two seas, Albania boasts some of the most beautiful, untouched beaches in the world, and not only those found along its two coasts, but additionally those along the Albanian Riviera (a famous attraction of the nation with an exciting nightlife and retreat destination). 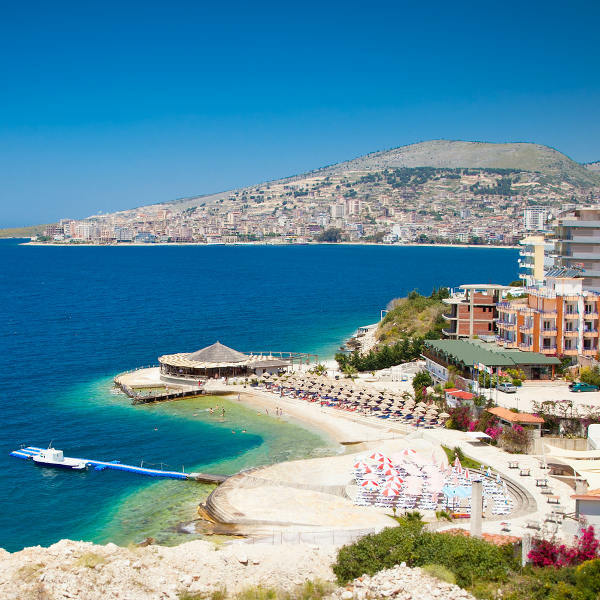 Some of the top coastal attractions include Palasa, Dhërmi and Ksamil. In the capital, Tirana, immerse yourself in the bustling heart of the country. Explore the streets and catch sights of the various residential buildings painted in red, blue and yellow. Experience the city’s culture in one of its many public squares or discover the thrilling entertainment scene at the district of Blloku, which includes restaurants, bars, pubs, boutiques, shops and cafés. For Albania’s history, a definite place to visit is Vlorë. This is the oldest destination in the country, including attractions like Flag’s Square, the Independence Monument, Kaninë Castle and Muradie Mosque. Nature enthusiasts can explore the Karaburun-Sazan National Marine Park and the islands of Sazan and Zvërnec. 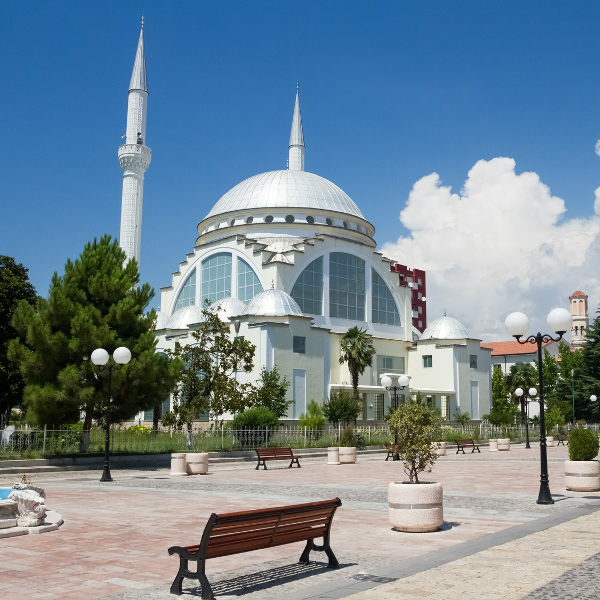 The port city of Durrës sits along the Adriatic Sea and is where you can explore more of this nation’s history, with a massive Roman amphitheatre and a 9th-century church. Its Archaeological Museum includes pieces from Greek, Hellenistic and Roman periods. Finally, experience a touch of royalty with a visit to the former summer villa of the 20th-century King Zog. Compare several airlines and book your cheap flights to Albania online at Travelstart! There is no risk of yellow fever, but if you are coming from a country where this disease is a risk, the government of Albania requires you to produce proof of vaccination. While the cities of Albania enjoy a low crime rate, pickpocketing is still a problem, so keep your valuables close and in a secure place.